This commodious sideboard boasts a unique soft terra rose and grey finish. The softly curving case is outlined with generous moldings and supported by whimsical bun feet. Four doors feature raised lozenge panels in picture frame molding and open to reveal a grey interior with ample storage space. 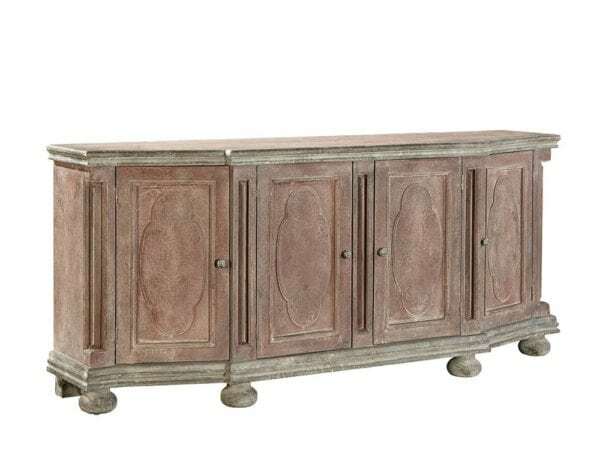 Categories: Living Room Furniture, Consoles, Dining, Buffets / Sideboards.